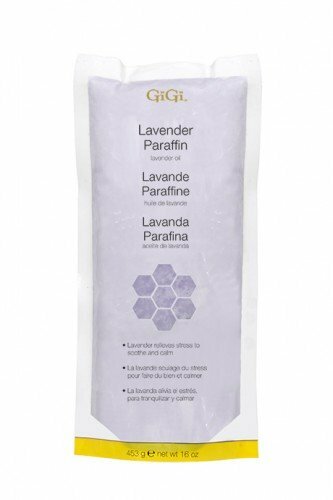 GiGi Lavender Paraffin is enriched with antioxidant-rich Grape Seed Oil which helps protect skin and Lavender that helps relieve stress and calm the senses. DIRECTIONS: Cut bag open and slide paraffin into paraffin bath. 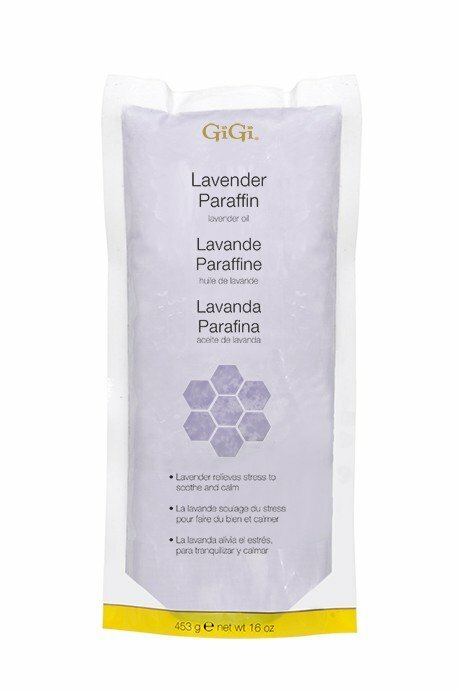 DO NOT heat paraffin in this bag. CAUTION: Wax may burn if subjected to excessive heat. Never heat this product over direct flame or on an electric burner. DO NOT MICROWAVE.